Should You Run 26.2 Miles to Train For A Marathon? I just completed my first marathon following the Novice 1 program, with its maximum long run of 20 miles. When I ran the marathon, the first 20 was great and the final 6 a struggle, each mile taking longer and longer. I’ve been told this is “normal.” To me, you should do the same thing in training that you’re going to do in competition. If you’re fighting in a wrestling match, you would go all out like you would on tournament day. Or if you’re in a shooting competition with targets at 100 yards, you shoot at 100 yards. So to apply the same logic: why wouldn’t I extend the training plan and run 25 or 26 miles three weeks before the race, then taper down? In doing so, I figure that in the eventual marathon the last 6 miles wouldn’t be so painful, and I’d be able to maintain my pace. Is the concern burning out, or overtraining, or peaking too soon? Even though you might be able to wrestle at peak energy during a workout, it’s not like being in a tournament. Tournament day, or race day, everything is different. Psychological forces take hold. It’s one reason why the best athletes might get to 90 or 95 percent in workouts, but nowhere near the 100 percent they manage when medals are being handed out. As for shooting at 100 yards, there is little physical recovery needed after that. Trust me: My programs work. Remember that in Week 15 with a 20-miler on the weekend, you also have a 10-miler midweek plus other workouts, so that’s a pretty tough week. 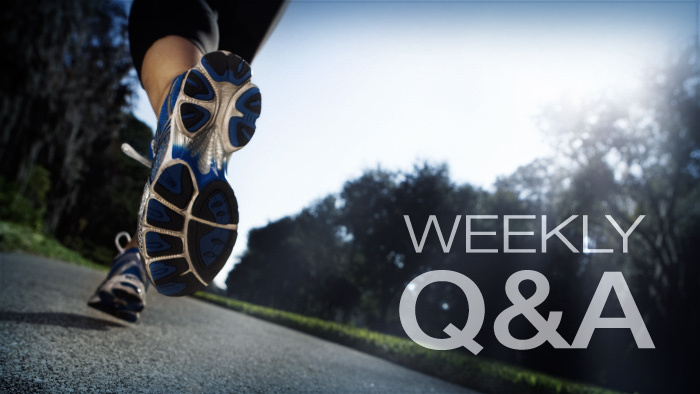 The three-week taper is not only to prepare for the marathon, but also to recover after Week 15. For most runners, going further than 20 in any one workout probably does little good physically, or psychologically, and potentially could cause some harm if the runner fails to recover from a 22- or 24- or even 26-mile workout before marathon weekend. I still remember one year meeting a woman at a party before the Chicago Marathon. In a 26-mile workout a few weeks before the race, she pulled a muscle at the 24-mile point, so had to postpone her marathon debut. I bit my tongue thinking that if this had happened in the marathon itself, she could have walked or limped the final 2 miles and finished with honor. The memory of that woman continues to haunt me. Once a runner has more than a few marathons under his belt, if he wants to experiment with longer runs, be my guest. The warrantee is off, but runners are free to proceed at their own risk.